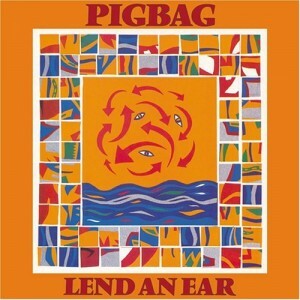 Pigbag have signed a deal with Fire Records to have their two studio albums, “Dr Heckle and Mr Jive” and “Lend An Ear“, re-issued. 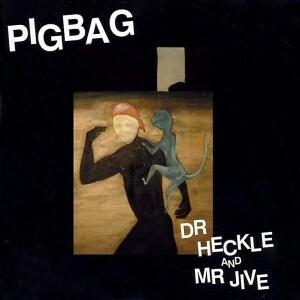 “Dr Heckle and Mr Jive” was re-issued once on CD in 2000, but has become increasingly difficult to get hold of. For a while the tracks were available on iTunes, but have disappeared in the last few months. “Lend An Ear” hasn’t been officially re-issued since it was released on LP and cassette in 1983, so it will be great to have a clean digital copy after almost 27 years! (There is a Japanese CD available through Ebay and a few other sources, but that release wasn’t approved by the band and is probably a bootleg as far as I know). The new re-issues are likely to be early in 2010, more details of what and when as I get them. My thanks to Jim for the news. Jim Johnstone has got a new EP out this week, “Bamako” under his ATOMM guise. It’s the third release on NINE YARDS RECORDS, the digital label that Jim set up earlier this year with Mark Smith. The EP is available from JunoDownload for £2.99, £3.79 or £5.99 depending on bitrate. You can preview the tracks on JunoDownload or hear some of the tracks on the ATOMM MySpace page.